Don’t you love this weather? It’s a welcome reminder that the beginning of fall is here (I don’t know about you, but I am SO ready!). It is the perfect time to make a fun family memory by carving a jack-o-lantern to decorate your home. Here are some free templates to get your creative wheels rolling. Pick up a couple of inexpensive pumpkins and try you hand at a fun design with one of these FREE pumpkin stencils! The Texas Rangers fan club has 4 FREE Texas Rangers and Texas themed FREE printable jack-o-lantern templates here. Show your support for our favorite baseball team! Southern Living inspires with 31 free pumpkin carving ideas – from elegant to jolly–to ready your house for the fall. Better Homes and Gardens provides over 100 creative ideas and templates for decorating pumpkins here. They even offer free customized stencils when you answer a short quiz based on your carving ability level, decorating desires, and project involvement needs. Hesheys.com offers a wide variety of 30 different patterns from easy to advanced, with printable carving instructions. DisneyFamily.com has over 40 templates including many Disney character patterns ~ Mickey Mouse, Jake and the Never Land Pirates, Toy Story, and Doc McStuffins. Nick Jr. offers 25 favorite Nick Jr. TV show character patterns like Dora the Explorer, Paw Patrol, and many others. Kraft.com has 6 different pumpkin face patterns as well as an easy-to-follow guide for carving pumpkins, here. PumpkinLady.com provides a wide selection of clever design templates, most for less than $1.50. Click around the site for some great ideas. You’ll also find 12 designs for FREE here. Follow the pumpkin lady’s Facebook or Twitter pages for other free designs and discounts, too. 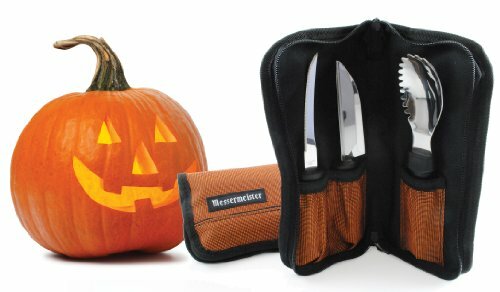 For the more serious pumpkin carving project, I recommend the Messermeister Pumpkin Carving Kit which includes a chef quality Pumpkin/Melon knife, scoop and carving tools in a storage case. The special blades are designed to carve intricate designs beautifully (not for the kiddos, though)! They’ll give a great grip when cutting and carving pumpkins and thick melons, too. If you want one really good tool, I recommend getting a special Pumpkin/Melon Carving knife. We really like the Warren Pro Pumpkin Carving knife. It is well made with a walnut handle and comes with several sturdy replacement blades that have a fine saw like cutting action ~ they will not bend or break as with the cheaper versions. Again, this is not safe for kids. This entry was posted in Cheap, Dallas, Fort Worth, TX, FREE, Home and Garden and tagged Crafts, Fort Worth, Halloween, Jack O Lantern, Pumpkin Carving. Bookmark the permalink.